“The plot has been hatched by Americans and Zionists. They have been working on it for several months, planning to begin from small towns and then move on towards the center. The cash comes from one of the filthy rich Persian Gulf littoral states. Obviously, such projects need money, but the Americans won’t be willing to spend anything as long as they have these [rich allies],” the Leader said. The third side of the triangle, Ayatollah Khamenei added, was the “murderous” MKO terrorist grouplet, whose elements served as their lackeys on the ground. The people, however, distanced themselves from rioters after finding out their motives, Ayatollah Khamenei said. 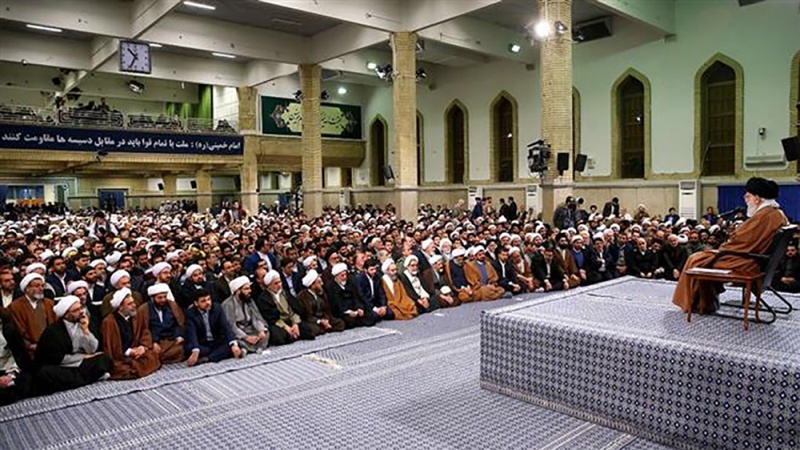 The Leader of the Islamic Revolution described the recent wave of violence that hit some areas of the country as “fireworks and vicious acts,” praising the Iranian people’s timely and appropriate reaction to the unrest. He further noted that people’s honest and rightful demands should be differentiated from acts of violence and sabotage.